There are moments in life, that we always wish someone else was there to see it, be it a wedding or a birthday, these are the things that you would not want your friends to miss. or even finishing up that sushi king udon bowl challenge. HTC Evo 3D gives a clean and clear HD recording so that you can share the things you want, with you friends, upload them on youtube or just keep it as a momento of some of the most memorable moments. I took 2 videos with HTC Evo 3D , and they came out really nice. HTC Evo 3D with it's HD recording, gave a chance for me to record things for me to share out with people. The video is of good quality and it is even better in daylight. 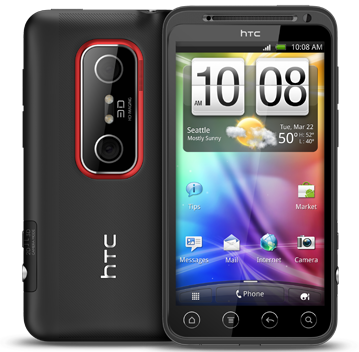 HTC generally makes good camera and HTC Evo 3D is one of the leaders of the pack. You can even have a go with it's ability to take 3D videos, so you can always have a go at that as well. It's really amazing to see 3D effect on a 4.3" screen, but again I am sorry to say that it cannot be seen on the laptop.